The New School Eta Upsilon Chapter of the Tau Sigma Honor Society is pleased to induct its first class of students. All are invited to attend. Tau Sigma's mission is to "recognize and promote the academic excellence and involvement of transfers students." 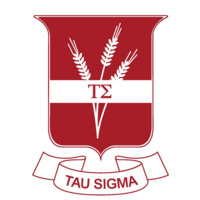 Tau Sigma provides its members opportunities to earn scholarships, attend leadership conferences, take leadership positions in the university, and serve others at the university and in the community.